Is your company using Google+ properly? Some of you may not even be able to answer this question as you may not be using Google+ at all; bad move! Don’t worry though, I am here to tell you the main benefits that come with using Google Plus for businesses. You will soon realise what you are missing out on and why you need to make a Google plus account. I am sure you are probably thinking Google+ is dead, no one uses it, it has no use nor value. That is where you are wrong, there is a huge population of people still using their Google+ account and reaping the business benefits that come with it. Having an online presence in 2017 is pretty important for most businesses, it is the perfect way to reach out to your target audience on a much large basis. You probably use Facebook, Twitter and LinkedIn for your business so why stop at Google+? The actual network that you can use to impress the search engine you want your website to be ranking highly on? There is no point in beating around the bush when it comes to the benefits of using Google+ so let’s just jump straight into it with the first advantageous point of links. It’s all about the links. It really is one of the most simplest ways to link back to your website, you can link to any page you like. Whether you want people to contact you right away, read a blog post or start at the beginning on the homepage, it really is up to you what link you choose to include in your post. Don’t worry, you aren’t limited to the amount of links you can use. In each and every post you publish you can add a link and it can be to the same page you have previously posted about or a new one. You can just publish a post with a link but that’s not very interactive is it? Think of something creative to write to make the link more interesting and of course clickable. Create a circle, make new friends. Yes, creating a circle with Google+ people is the next benefit that comes with Google for businesses. 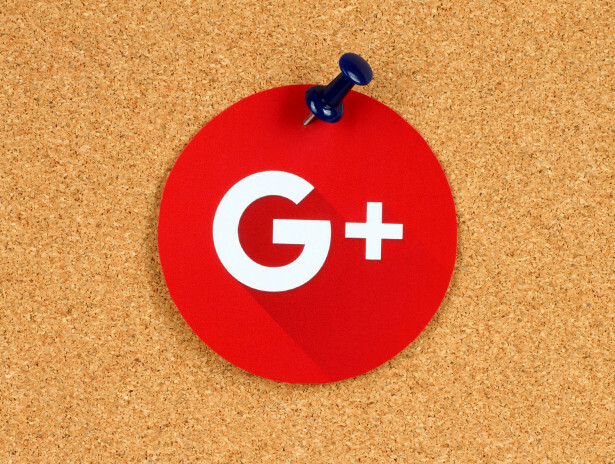 As I stated earlier there are plenty of people out there still using Google+ worldwide which means there is a whole community awaiting your arrival. Whether it be a community that share the same business interests or not it is still a fantastic way of networking and building relationships with all different people in different industries. It is an easy way of getting your brand out there and noticed by a large group of people. Swiftly moving on from this point puts me in a great position to talk about my next advantage that comes with using Google Plus for businesses. By creating a circle on Google+ you are going to have a much larger audience therefore more and more people to engage with. Whether it be that you like and comment on other people’s posts or you begin by building conversations. All engagement tactics and strategies are hugely beneficial and one way of helping to get your business ahead of the game and most importantly ahead of the competition. Google+ allows you to connect with people / businesses all over the globe, imagine the potential number of people you can have talking about your business gaining you increased online authority, leads and sales. If those 3 benefits of Google Plus aren’t enough for you don’t worry we won’t be stopping there, I still have 3 more to go which will hopefully twist your arm to make a Google Plus account. Google+ is a brilliant platform for creating easy social signals. Most businesses in this day and age use social media but if you don’t that’s a whole different topic you need to catch up with! Anyway, anything you post on the likes of Facebook, Twitter or Instagram can be shared on your G+ account, creating easy social signals which will potentially lead to more people liking / following you on your other business accounts. Once you make a Google Plus account and start posting yourself on your business’s behalf don’t stop there. Whether you have 5 or 50 employees make sure they are all taking advantage of Google+ too, this way there is going to be plenty more sharing and posting going on with an even bigger change to reach more people and potential customers. Do you really only want the one account to publicize your business!? If I do say so myself I have saved the best till last so be prepared to take note. First of all ask yourself this, do you think Google is going to pay more attention to posts / activity on Facebook & Twitter or Google+? Exactly, Google is going to trust its own platform first over any other social channels and that is why the use of Google+ has an input when it comes to ranking your website in the search engine. Google+ is indexed into Google’s page ranking factors, it is something that is taken into consideration so don’t you think it is about time to start paying attention to what Google is looking at when ranking your website!? So what do you think about the benefits of Google Plus? Have they made you realise it is about time you make a Google Plus account? I am hoping they have because it is well and truly worthwhile, you can’t carry on believing G+ is dead. It’s not. If you want an easy technique on top of your other SEO strategies to help get your website ranked at the top end of Google then I say go for it, go create an account and reap the benefits that come with Google Plus for businesses. However if you simply haven’t got the time to manage your own SEO, social media and Google+ then why not get in touch with us? We are #1 for what we do in our industry and can make you #1 for what you do in your industry. Ready to rank well and achieve success? Contact our specialists today.